A video projection and sound environment which draws on a personal archive of video landscape walks recorded over 6 years in Canada, Japan, France the U.K. and U.S., Reader by the Window "explores the common experience of 'the familiar' in unfamiliar places, where the boundaries of our identities blur into our surroundings and the strange becomes unrecognizably ours" (the artist). Presentation House Gallery published a catalogue in conjunction with the exhibition, including essays by Paula Levine, Robert Sherrin and Jean Gagnon. 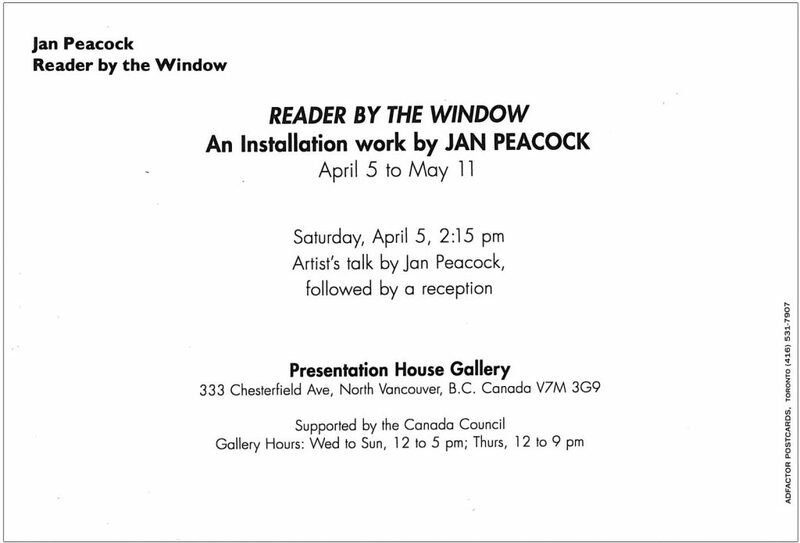 A review of work by Halifax video-based artist, Jan Peacock, with particular attention to the major work Reader by the Window which was exhibited at PHG in April, 1997. A video projection and sound environment which draws on a personal archive of video landscape walks recorded over 6 years in Canada, Japan, France, the U.K. and U.S., Reader by the Window "explores the common experience of 'the familiar' in unfamiliar places, where the boundaries of our identities blur into our surroundings and the strange becomes unrecognizably ours" (the artist). 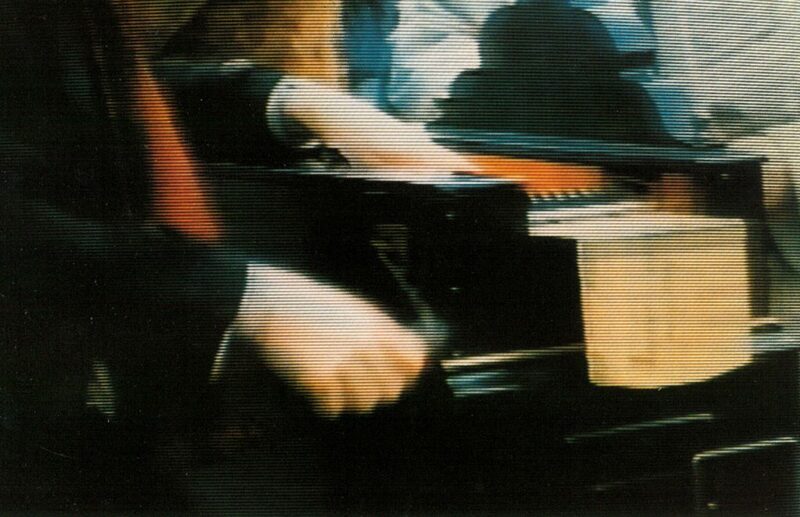 The publication also includes two videoscripts by the artist, and an essay by Peacock about the making of Sirensong. 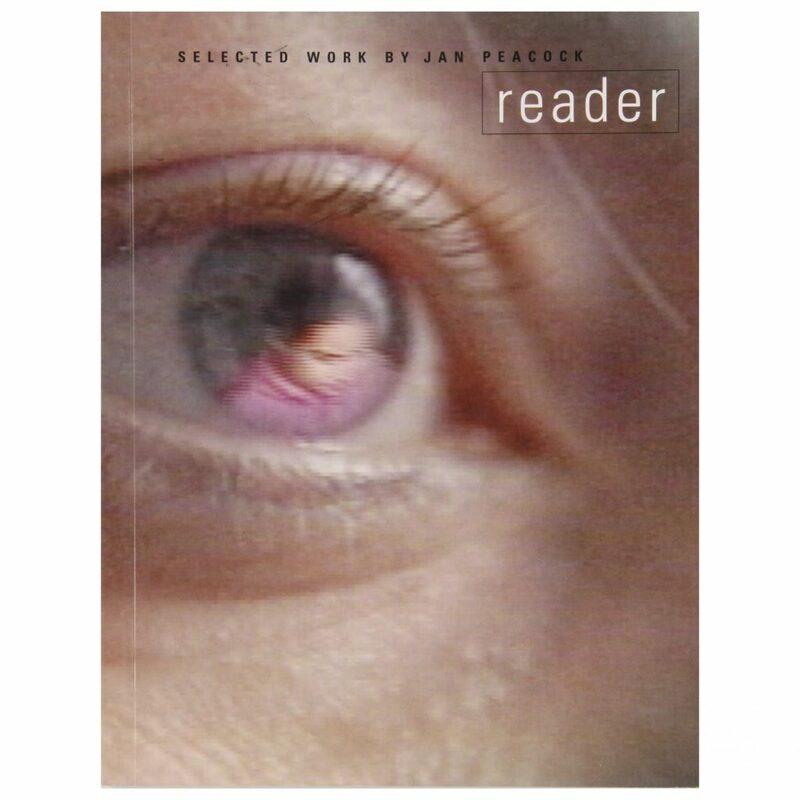 With essays by Paula Levine (San Francisco), Robert Sherrin (Vancouver), and Jean Gagnon (Montréal). Designed by Alex Hass, Radish Design Studio. Printed by St Josephs M.O.M. Press, Ottawa.